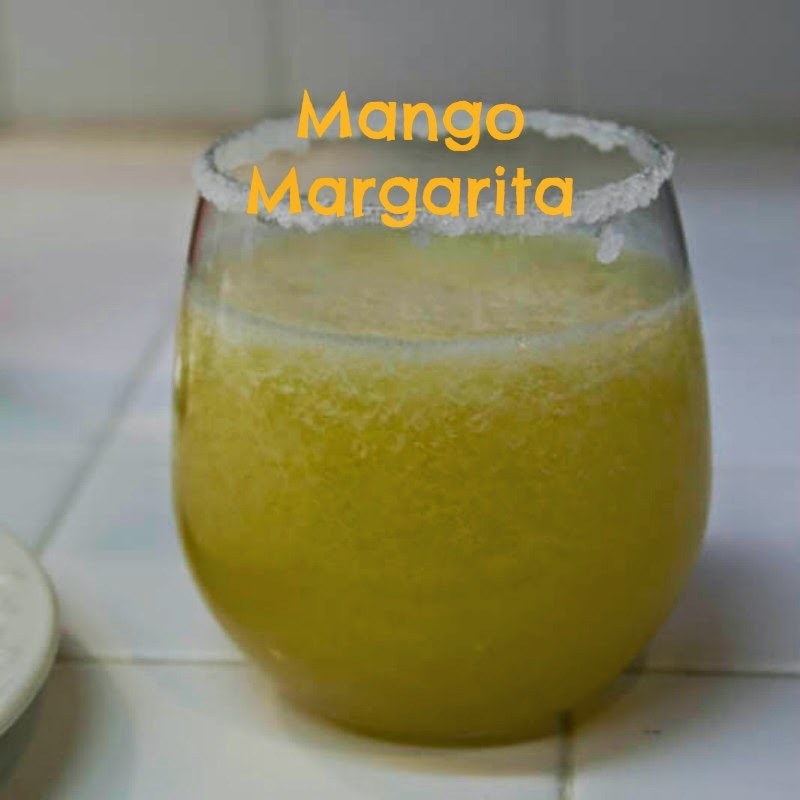 Last Friday we made these delicious Mango Margaritas for Friday's Happy Hour. It was the first time that I had tried making these, and I was pleasantly surprised. I used to drink margaritas when I was younger, but my tastes changed and I like my drinks a little sweeter today. I just went from my regular margarita recipe and changed it up a little. Instead of sweet and sour or tons of lime juice, I added mango nectar, a little mango, and lemon juice. They came out perfect . Put all of you ingredients into a blender and blend until it is smooth and slushy. Put water on one plate and sugar on another plate. Dip you glasses into the water and then the sugar to rim your glasses in sugar. 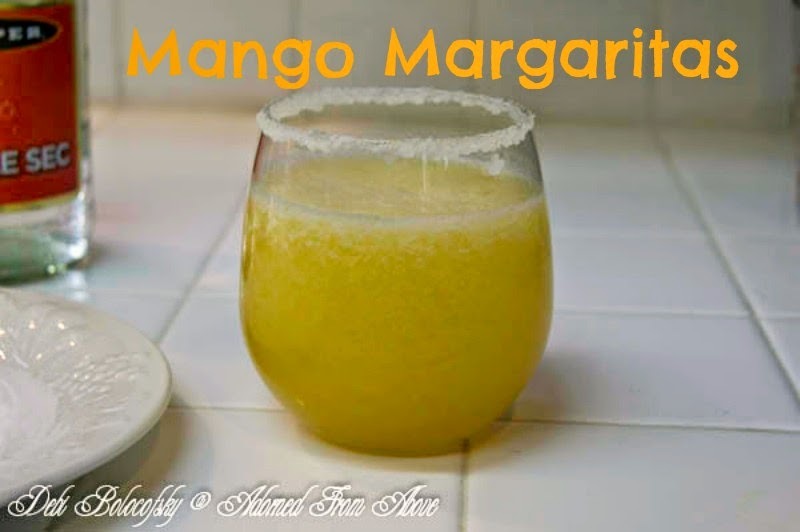 Then pour your mango margaritas into your glasses and serve. This will make 2 margaritas. I hope you like these margaritas as much as we did. We had them with guacamole, pico de gallo, mango salsa, and both flour and corn tortilla chips.